Thanksgiving is so close, we can almost taste the pumkin pie! But before you start to panic about all of the thanksgiving induced gluttony you might partake in, look at these delicious (and even some thanksgiving!) 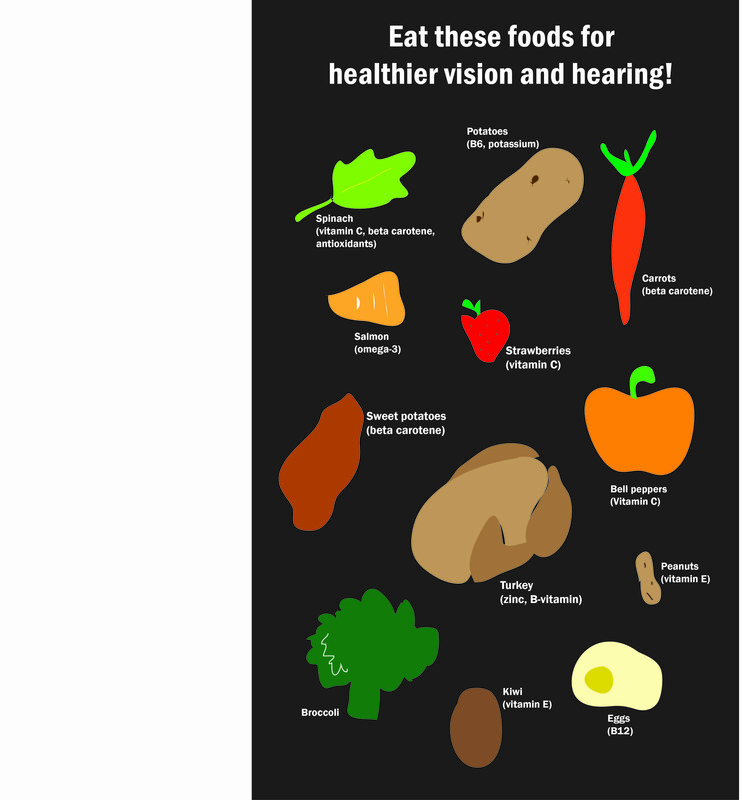 foods that you can incorporate into your diet for healthier eyes and ears. Working at the Lighthouse restores my belief in the best in people on a daily basis. I have been with the Lighthouse for over a year now; I started as an AmeriCorps service member in the vision clinic and I was recently became the hearing services program manager. I don’t think that I ever lost my belief in humanity or the goodness of people – I’ve pretty much always believed that people are intrinsically good and want to do good – but working at the Lighthouse really does give me daily reminders of that goodness. The clients themselves remind me of this. While I don’t get to meet face-to-face with the hearing clients like I did with the vision clients, I do speak with them on the phone and get to know them and their stories. The majority of the hearing patients are retired and on fixed incomes, though we also serve Georgians under 21 years of age. These are good, grateful people who become part of the Lighthouse family. Client families and friends also impact me. They can be amazingly strong advocates for their mothers, fathers, friends, aunts, uncles, children, and grandparents. Their persistence reminds me of what a little bit done by one person can do. I hope someone would be just as persistent on my behalf if I needed it, and I hope I can be that kind of advocate for someone else. And last – but most definitely not least – are our partner hearing professionals. These caring individuals go above and beyond to care for Lighthouse patients. One of our audiologists in the metro Atlanta area expanded her work hours to accommodate more Lighthouse patients. Another of our hearing professionals refuses his reimbursement fee; he asks that it simply go back into the budget to help more people receive hearing services. Time and time and time again when I call upon this group of trained individuals, I find generous souls who gladly accept patients fully knowing the level of reimbursement they will receive for their services. Among the difficult parts of life, I find examples of goodness everywhere I go – and especially at the Lighthouse. I am proud to be part of an organization whose mission is to increase the independence and quality of life for each person we see. And I am even prouder of the wonderful people who come to us, either as patients or as partners.